Nuevo Vallarta, Nayarit, Mexico. This is the first of aplanned bi-annual regatta. Check out the website for information on travel subsidies. Great Tune-up event for J/24 Worlds! The 2010 IJCA World Council Meeting will be held on Friday, November 19th at the Florida Yacht Club in Jacksonville Florida. Information about the yacht club can be found at: www.thefloridayachtclub.org. Each NJCA is requested to send a representative to this important meeting. The timing of this meeting is set to coincide with the annual King’s Day Regatta hosted by J/24 Fleet 55 on the waters of the St. John’s River on November 20-21. The meeting attendees are welcome to stay and observe or participate in the King’s Day Regatta. Crew positions may be available on local boats, and attempts will be made to arrange boats for loan or charter for those wishing to sail this event. More information on this will be forthcoming. Also note that Jacksonville will also be the location of the 2012 J/24 North American Championship. Thursday, November 18 - Arrival and transfer from Jacksonville (JAX) airport. A boat cruise will depart from the Florida Yacht Club at 1800 with a stop for dinner. Friday, November 19 – 0900 World Council Meeting at the Florida Yacht Club followed by an oyster bake at 1900. Saturday, November 20 – Departure or King’s Day Regatta sailing. 1000 Competitor’s Meeting, 1130 First Warning Signal. Sunday, November 21 – 0930 First Warning Signal. No race will start after 1400. Departure as needed. Jacksonville is the largest city in Florida and offers a wide variety of activities and amenities. The city is serviced by the Jacksonville International Airport (JAX) and transfer from the airport to the meeting site/hotel can be arrange with prior notice. We hope to enlist local Fleet 55 members to assist with airport pick-ups and drop-offs. We are currently making arrangements for a hotel. It is expected that the cost will be around $75-$95 per night for a private room. More information on hotel booking will be forthcoming. If you have any immediate questions, email the IJCA office at: director@j24class.org. The Davis Island Yacht Club offers a great escape from the February temperatures, a famous laid-back social atmosphere, and an an inviting venue for the 2011 Midwinters regatta. Februrary in Tampa Bay typically includes some excellent weather for sailing and an excellent way to spend your winter vacation. 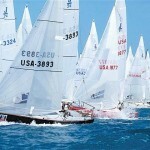 We hope you join us for the 2011 J/24 Midwinters! Last year 38 boats (20 Nations) this year we expect +40. Bad Behavior has blocked 3159 access attempts in the last 7 days.